The past month has been as dramatic as it has been revealing and shocking. It began with EACC chair Mumo Matemu suspending deputy CEO Michael Mubea, which was swiftly reversed by the CEO, Halakhe Waqo the following day. 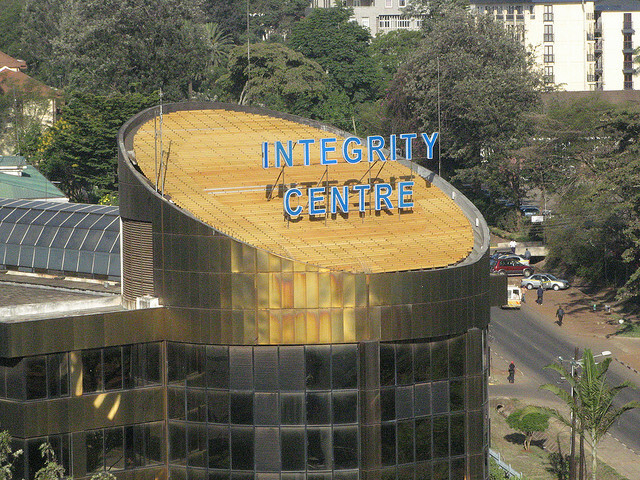 Bribery, witch-hunting, nepotism and tender deals, it has emerged, sit at the centre of the current wars at EACC. As if that were the signal, every manner of accusation started flying, first against the chairman and other commissioners by the secretariat, and then against the CEO and his deputy by commissioners. The Office of the President, through spokesman Manoah Esipisu, also weighed in to advise the public that a petition signed – by two commissioners, Irene Keino (deputy chair) and Jane Onsongo and authored by Mubea, it would later emerge – against the chairman had been received in September 2014, and that it was being considered. Following that announcement, the commissioners, however, disowned the petition, stating that they had been misled into signing it. The commission and the secretariat, after a week of unease, called media to announce that they had resolved their differences, and were working together again, and that Mubea’s suspension had been lifted. The happenings bring to mind what transpired during the time of the Kenya Anti Corruption authority, when it was revealed that some powerful figures would be charged with grand corruption for their roles in various high profile scandals. To save their politically and economically well connected friends, powerful figures in government quickly orchestrated the disbandment of the corruption watchdog, effectively barring any such action, under the guise of creating a better formulated agency to fight graft. The same thing is about to happen today. Today, as back then, pertinent questions arise. Mubea is said to have links to some very powerful people, which has earned him the nickname “untouchable” amongst colleagues and staff. So well connected is he, says a source at the commission, that what he says about cases goes. For example, if he wants investigations stopped, it will happen without question. Various actors, including Matemu, have intimated that Mubea, in his capacity as head of operations, has been sitting on various high-profile files, making it difficult for prosecutors to institute court proceedings. Mubea and Waqo are said to have classified a file involving the controversial Tassia II Housing project involving National Social Security Fund and a Chinese construction firm. As a result of their diffidence, workers have lost billions of shillings under the scam. Keino and Mubea are said to have received houses in return for their ‘help’. Keino has also been implicated in a number of scams by her former driver. She is said to have used EACC vehicles for construction of a private housing project, and is the one who wrote a letter to Uhuru Kenyatta calling for removal of Matemu. Her closeness to Mubea is further demonstrated by the Sh750,000 monthly pay Mubea receives, when the SRC has set his pay at Sh350,000. It was Keino who proposed new salary scales for a section of EACC staff as a cover. But all this cannot have happened without Matemu’s knowledge. What, then, is the point of departure for people who, for all intents, have been a team? What made them decide to write a letter and sign a petition to kick Matemu out of office? The answer, it has been suggested, is power. Keino was once acting chair before Matemu took over, a position that she so desperately wants back, and which she will do anything to get, including portraying him as the bad guy and duping fellow commissioners, to get. However, the real question here has more to do with the commissioners who endorsed Mubea’s petition to have Matemu kicked out, especially because they have come out openly to say they were misled. It beats logic that people who are supposed to be critical thinkers and who ought to offer alternative leadership where the secretariat fails could be so daft as to sign something they had not read. Had their brains gone on holiday? Is this how casually they treat matters that are brought to their attention? What was the intention of the author of that petition, and how did he get all of them to sign it without going through it? Then there is the question of goodwill. Since Matemu took office, he has never really settled. There is a hidden hand fighting him and frustrating his efforts. The Executive has got its interests, meddling now and then to divert the course of justice. And if it isn’t powerful, well-connected people threatening or bribing him and his officers, then it is some in-house coup being plotted inn attempt to get him out of the way. We have no moral basis to judge his performance in tackling corruption. When the very people he is supposed to trust – this is by no means an excuse for his performance – are running around, plotting his downfall, he cannot be expected to deliver. The supremacy wars between commissioners and the secretariat only serve to underscore the fact that where there is conflict in regard to operations and policy, there is urgent need to enact a law to define the duties, mandate and roles of the two entities. These conflicts contribute greatly to the slow pace of executing the commission’s mandate; reworking the provisioning laws would greatly reduce overlap of functions, and create an environment where commissioners and the secretariat do not step on each others’ toes. Next articleBail and bond policy guidelines are here, but are we out of the woods?